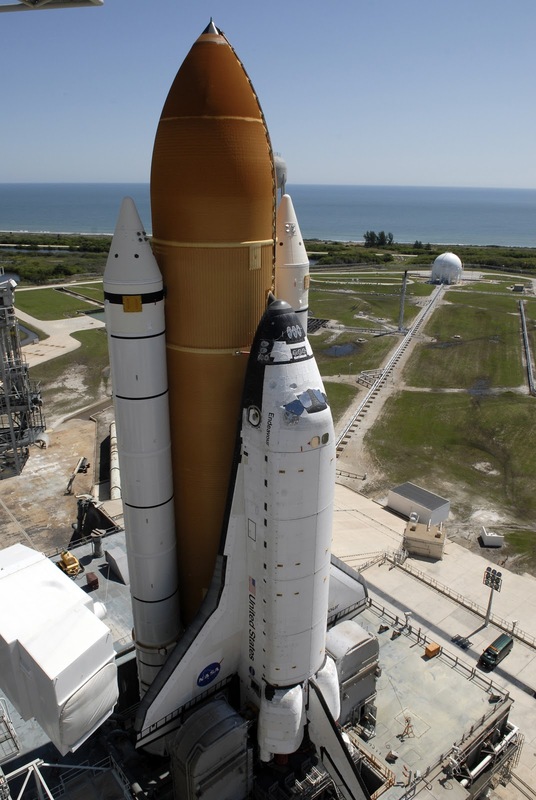 I’m looking forward to heading out to Cape Canaveral in a couple of days to participate in the NASA Tweetup for the last launch of Space Shuttle Endeavour. Yes, it uses the Brit spelling because it’s named after the HMS Endeavor, the ship commanded by Captain Cook on his first voyage. Cook’s official mission was to observe and record the transit of Venus from Tahiti to help Royal Astronomer Nevil Maskelyne develop methods for the accurate computation of longitude. It’s ironic that on his third voyage, Captain Cook used the competing method of determining longitude to affix Hawaii and other Pacific nations accurately on a map for the first time. He used an elaborate and lavishly expensive piece of technology: a chronometer. Various memories and mystical associations bounce around my head thinking about all this and it’s not easy to set them down on paper. But if mapping the Earth requires a chronometer, can I try a chronology to arrange the geography of contemplation? Not meant as a comprehensive timeline, it’s just an expedient to allow the juxtaposition of associations. 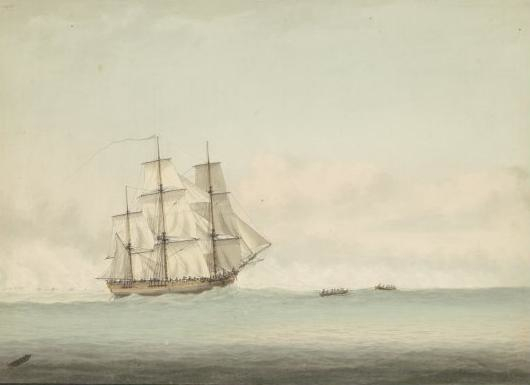 Captain Cook begins his first voyage aboard the HMS Endeavour. His mission is to observe the transit of Venus from Tahiti and map and investigate the mysterious southern continent we now know as Australia. On his third voyage, Captain Cook comes upon the Hawaiian Islands and he fixes their position on a map with the help of the first operational marine chronometer. During his three week stay at Kealakekua Bay he meets young Chief Kamehameha. Whatever the Captain may have discussed with Chief Kamehameha or any of the other chiefs he met with is not known. The Captain’s account of his three weeks in Hawaii has been excised from the ship’s journal, presumably after he is killed. King Kamehameha completes Pu‘ukohola Heiau, a massive stone temple on the island of Hawaii. This huge and conspicuous structure is perfectly designed to intimidate whether one approaches by land or sea. Someone with command of that much engineering, resources, and manpower is not to be messed with. Isn't that the purpose of monuments? The Great Pyramids? Hadrian's Wall? Russia detonates its first atomic bomb. America detonates its first hydrogen bomb with the force of 500 Hiroshima bombs. It turns the Pacific island of Elugelab into a crater. Russia detonates its first hydrogen bomb with the force of 20 Hiroshima bombs. I'm five years old when the black and white Zenith TV screen starts breaking up. Sometimes it does that when it rains and the rabbit ear antenna can’t get a clear signal. But it’s not raining -- plus weird noises are coming out of the speaker. “It’s Sputnik,” says my dad. Wut? “The Russians shot a rocket into space and it’s going round and round the Earth. When it flies over us it messes up the TV.” What?! Movies always had a cartoon and newsreel before the feature. You don’t want to be late getting to a movie or you’ll miss the cartoon. The cartoon is for us kids. The newsreel is for the folks. This time it shows an American rocket on the launchpad that was going to launch our first satellite into space. But the whole thing explodes on the launchpad as the announcer almost has a mental breakdown. Dad says, “Americans can’t build anything right.” He has a Nikon and a Volkswagen. American cars are big, unreliable, and have huge rocket fins on them. Russia and America detonate more than 100 atomic bombs in 1958. Russia detonates the Tsar Bomb, the most destructive bomb in history. It has the equivalent force of 2,500 Hiroshima bombs. Russian Cosmonaut Yuri Gagarin becomes the first man in space. President Kennedy declares our intention of landing a man on the moon before the decade is up. American Astronaut John Glenn becomes first American in space. I’m almost 10 years old and I’m staying up late hanging out on the sidewalk in front of my house. I wave to some of the neighbors who are doing the same thing. We’re not expecting much because we’ve done this a number of times with nothing happening. But you never know. So we’re all hanging out again. At 11pm, some 900 miles away and lofted by rocket some 200 miles above the Earth, a cylinder 20 inches in diameter and 58 inches long explodes with the force of 72 Hiroshima bombs. It lights up the sky. Some drivers have major freakouts when the flash goes off and their cars stop dead in their tracks from the electromagnetic pulse. Russians attempt shipping nuclear missiles to Cuba. President Kennedy sends in the Navy to confront the Russians. Russian sub captain wants to use nuclear torpedo on US ship; this requires the first mate’s approval. First mate refuses. Nothing blows up and nuclear war is averted. Narrowly. November: President Kennedy is assassinated. President Johnson signs Partial Nuclear Test Ban Treaty with Soviet Union and the UK. America detonates 40 atomic bombs, Russia around a dozen. The Summer of Love. I don’t get any. Huge riots in Detroit. President Johnson sends in the Army. North Vietnam mounts the Tet Offensive. Hell no, I won’t go. I’m still in high school. President Johnson signs the Civil Rights Act of 1968. America detonates around 70 atomic bombs, Russia around a dozen. American military involvement in Vietnam ends. America detonates more than 20 atomic bombs, Russia around a dozen. STS-1. The launch of Columbia inaugurates the Shuttle Program. STS-51. Space Shuttle Challenger explodes on liftoff. Media coverage of the investigation centers on the manufacturer of the booster rockets. They also show historic footage of the 1958 launch pad explosion. I remember my dad’s Nikon and Volkswagen. US detonates a dozen atomic bombs to Russia’s one. The Soviet Union dissolves itself. Really. The US conducts its last atomic bomb test. President Bush and Russian President Yeltsin agree on a cooperative space project. First flight of Shuttle Endeavour. Shuttle Discovery docks with Russian Mir. Nuclear powers sign Comprehensive Nuclear Test Ban Treaty. Pakistan detonates its first atomic bomb. American war in Afghanistan begins. American manned space program winds down. Last flight of the Endeavour. Unmanned Predator drones dispatched to Libya. It’s hard to believe what a frenzied march to the brink of Mutually Assured Destruction the Cold War was. 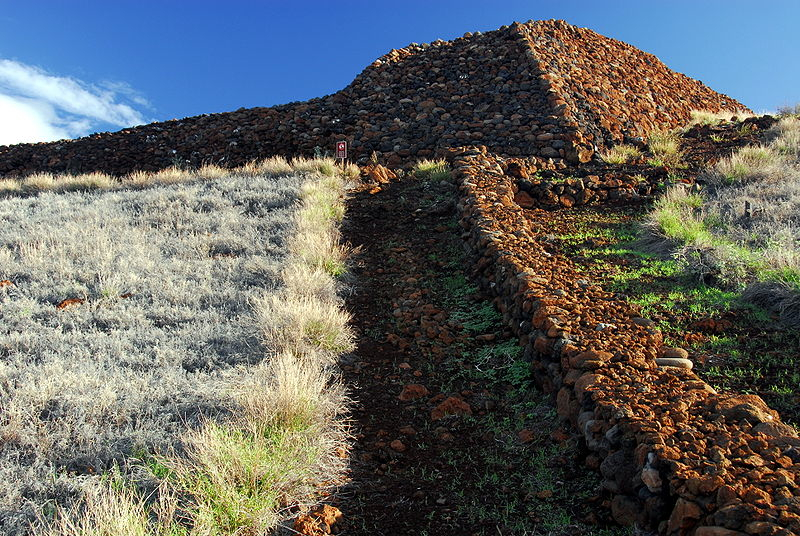 NASA and the manned space program begin as a Cold War monument -- attempts at a Pu‘ukohola Heiau, a Great Pyramid, a Hadrian’s Wall. And maybe they’re a Cold War memorial as well. I don’t know. I don’t know what the future of the manned space flight will be. I don’t know what it should be. I’ll be asking people that on my trip. Maybe I’m going to Florida to watch a bunch of Pixar-perfect astronauts pile into a white pickup, light up a half million gallons of rocket fuel and wake up the neighbors. That’s good enough for me at the moment. Imagine: the whole manned space flight thing could have gone off without me seeing a single launch. And I might have a couple of beers. Then I’m coming home. Update: That first launch was aborted with 2 hours and 34 minutes on the clock but I did go back and catch the launch. My rather knotty essay on it is here: A question about technology from the portability of grandeur in the form of a prelude and fugue.